Round harness buckle for making your own teether keys or baby carriage chains. 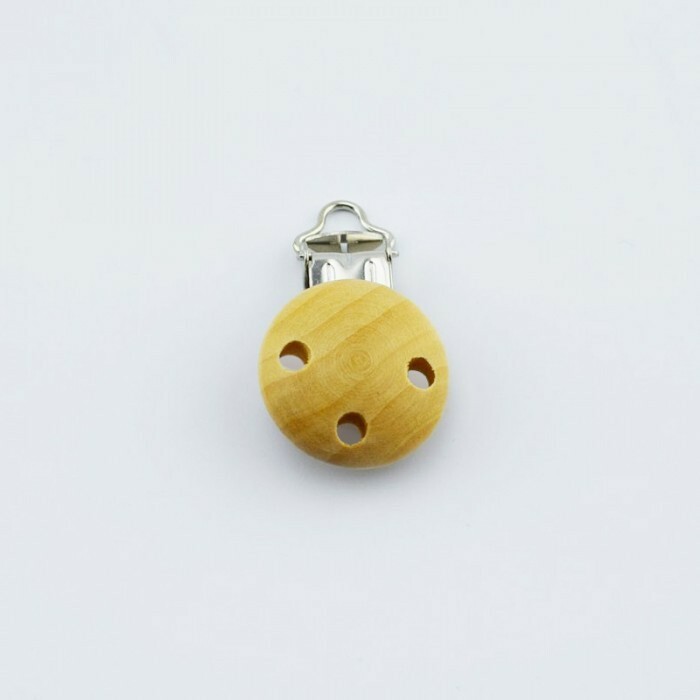 The clips are nickel-free and lead-free metal with plastic "teeth" in the clamp, and a round wooden button as a decoration. NOTE: The harness buckles are sold in individually.